Photograph: A close-up image of glass bubbles with colored liquid floating in a clear glass tube. 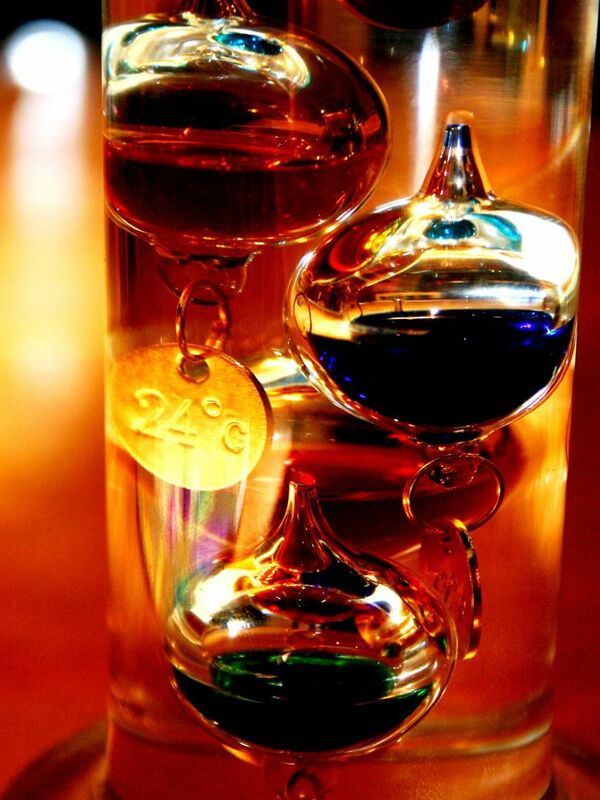 This thermometer, called a Galileo thermometer, uses colored liquids of different densities to tell the temperature. The different liquids, encased in glass "bubbles" rise and fall as the temperature changes.